Here are some of the most significant contributions to vampire literature. Inclusion was based upon originality and influence; the list is by no means complete. Novels are listed in italics and short-stories within quotation marks. Asterisks denote stories which have been adapted to films. Lumley, Brian, Necroscope (1986), Wamphyri, The Source, Deadspeak, and Deadspawn. Yarbro, Chelsea Quinn, Hôtel Transylvania (1978), The Palace (1979), Blood Games (1980), Path of the Eclipse (1981), Tempting Fate (1982), The Saint-Germain Chronicles (short story collection) (1983), Ariosto (1998), Out of the House of Life (1994), Better in the Dark (1995), Mansions of Darkness (1997), Writ in Blood (1998), Blood Roses (1999), Communion Blood (2000), Come Twilight (2001), A Feast in Exile (2002), Night Blooming (2003), Midnight Harvest (2003), In the Face of Death (2004), Dark of the Sun (2004), States of Grace (2005), Roman Dusk (2006), Borne in Blood (2007), A Dangerous Climate (2008), Burning Shadows (2009), An Embarrassment of Riches (2011), Commedia della Morte (2012), Night Pilgrims (2013), Sustenance (2014). The following film list is presented chronologically. It is not intended as any kind of comprehensive list of vampire films, which would be beyond the scope of this work. These are films that have either been influential in the development of the modern concept of the vampire, or that serve as a good example or illustration of some element of the vampire legend. Nosferatu, Eine Symphony des Garuens (1922), d. Frederick W. Murnau. Nosferatu was among the earliest vampire films, and remains an effective thriller to this day. A blatant and unauthorized "appropriation" of the plot of Dracula, this silent film presents Count Orlock relocating to Bremen rather than London. Count Orlock was a monstrous figure with a bald head (as per some Romanian traditional beliefs), rat-like fangs, and prodigious talons. He is destroyed by the morning sun at the end of the film (link is for the English version). Dracula (1931), d. Todd Browning. Unquestionably the most influential vampire film of all times, this version of Dracula provided the vehicle for Bela Lugosi's now famous interpretation of the Count. With his widow's peak, thick accent and piercing stare, Lugosi elaborated on the image of Dracula presented in the Hamilton Dean play and created the conception of the vampire that endures even today. Dracula (1931), d. George Medford. This was the Spanish language version of Universal's Dracula, released the same year. It starred Carlos Villarias as the Count, and is considered by many to be a better adaptation than the more famous English version. Dracula's Daughter (1936), d. Lambert Hillyer. This was Universal's sequel to the 1931 version of Dracula. Based (extremely loosely) upon Stoker's "Dracula's Guest," it follows the activities of Countess Marya Zaleska in her efforts to possess one of Van Helsing's students. House of Frankenstein (1944), House of Dracula (1945), d. Erle C. Kenton. "Monster Mash" of Universal monsters (Dracula, Frankenstein's monster, and the wolf-man), in the company of miscellaneous mad-scientists and hunch-backs. Nostalgic for fans of this era of horror film, but uninspired. The Thing from Another World (1951), d. Christian Nyby. Based upon the short story "Who Goes There?" by John W. Campbell, this movie features James Arness as a classic alien vampire, a vegetable organism that feeds upon human blood. The Thing is destroyed when its vulnerability to electricity is discovered. The Thing (1982), d. John Carpenter. Likewise based on "Who Goes There?" but with more CGI and less repeat value than the earlier version. Horror of Dracula (1958), d. Terence Fisher. The first of Hammer Film's Dracula movies began the classic and long-running antagonism between Christopher Lee's Dracula and Peter Cushing's Van Helsing that continued through the entire series of sequels. Lee's Dracula added some new elements, with his visible fangs, red eyes and more vigorous portrayal of the Count. Dracula is reduced to dust by the sun at the climax of this version. The Brides of Dracula (1960), d. Terence Fisher. The first sequel to Horror of Dracula, Brides does not actually feature the infamous Count, but rather one Baron Meinster as the undead antagonist. Peter Cushing did return to portray Van Helsing again, and was depicted as preventing infection from the vampire's bite by cauterizing the wound. Dracula, Prince of Darkness (1965), d. Terence Fisher. Christopher Lee once again resumed his role as Dracula in this sequel. Dracula is resurrected when blood is poured on the ashes he was reduced to at the end of Horror of Dracula to terrorize a group of unwitting travelers. Dracula meets his demise this time by breaking through a frozen stream and being plunged into running water. Dracula Has Risen from the Grave (1968), d. Freddie Francis. Christopher Lee's Count returned for a third time in this film, once again rescued from destruction by contact with blood. While stalking the young couple who are the protagonists of the film, he is staked but is able to remove the weapon from his own chest due to the atheist hero's failure to carry out proper religious rites. He is subsequently impaled properly by the priest who accidently revived him. This film marked the decline of Hammer's Dracula films. Taste the Blood of Dracula (1969), d. Peter Sasdy. As suggested by the title, this film depicts Lee's indestructible Count being resurrected once again, this time by a deliberate black magic ritual that involves the drinking of a surviving vial of Dracula's blood. Like Dracula Has Risen from the Grave before it, this film was aimed at a younger audience and was less than inspired. Dracula is destroyed by a combination of religious paraphernalia. The Scars of Dracula (1970), d. Roy Ward Baker. Another low-budget, hastily-made effort, The Scars of Dracula abandoned the continuity of the earlier films and returned Dracula to his castle without explanation. He is revived yet again, and terrorizes a group of young tourists before being destroyed (again), this time by a bolt of lightning. Dracula, A.D. 1972 (1971), d. Alan Gibson. This film marked the beginning of the end for the Hammer Dracula movies. Another attempt to appeal to a teenage audience, this film finds Dracula (played by an increasingly disgusted Lee) revived again by black magic in 1970s London. Abysmally written and comically dated by '70s youth culture, it re-matched Dracula against Peter Cushing as a Van Helsing, this time as a descendant of the original vampire-hunting professor. The only effective moment of this film is seen in a flashback, when Dracula is impaled upon the spokes of a carriage wheel. Satanic Rites of Dracula (1973), d. Alan Gibson. This was the final Dracula film offered by both Hammer and Lee. The plot revolves around the incongruous depiction of Dracula as a high-powered business tycoon intent upon releasing an artificially created plague upon the modern world. Peter Cushing also returned for this final effort, destroying Dracula by one of the more obscure traditional methods; leading him into a hawthorn bush. Countess Dracula (1972), d. Peter Sasdy. A loose interpretation of the tale of Elizabeth Bathory, starring Ingrid Pitt, who also played Carmilla. This is a good example of the human vampire as a villain, having few supernatural elements. The Vampire Lovers (1970) Hammer, d. Roy Ward Baker. First entry in the Karnstein trilogy, this film was a relatively faithful adaptation of Sheridan LeFanu's "Carmilla." It is an example of the "blood and breasts" formula used by Hammer. Spawned two sequels. Lust for a Vampire (1971) Hammer/EMI, d. Jimmy Sangster. Hammer's second offering in the Karnstein series. The Karnstein family rises again, and Carmilla preys upon a girls' school. Twins of Evil (Twins of Dracula) (1971) Hammer, d. John Hough. Features twin girls who are seduced by the nefarious (and persistent) Karnstein clan. Features Peter Cushing in the role of Gustav Weil, the vampire hunter. Vampire Circus (1971), d. Robert Young. This film features a group of traveling vampires in the guise of circus entertainers. Set in traditional Serbia, the undead take revenge on a village for the death of Count Mitterhouse, who rises again in the course of the film. Captain Kronos, Vampire Hunter (1972), d. Brian Clemens. Centers on the adventures of the swashbuckling title character, a noble soldier who has vowed to fight the undead after losing his family to them, and his scholarly, hunchbacked sidekick. 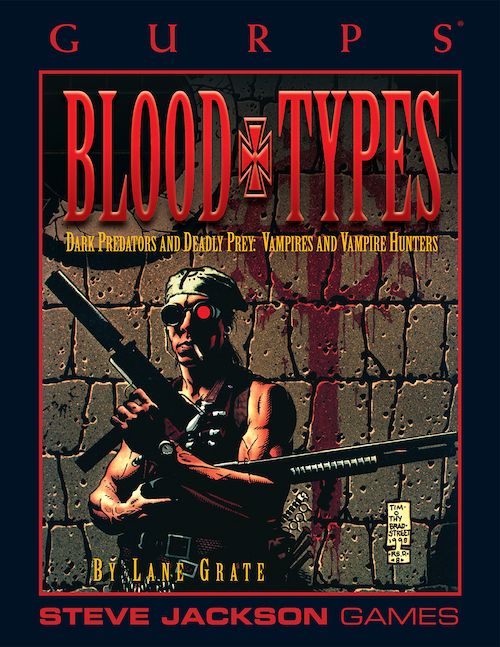 More adventure than horror, it includes a number of interesting variations upon the conditions of undeath, and proposes the existence of a variety of vampires. This was intended to be a series, but was not successful enough to sustain further films. Legend of the Seven Golden Vampires (1973), d. Roy Ward Baker. This film was the nail in Hammer's coffin, so to speak. A dismal attempt to merge horror and martial arts. Peter Cushing returned to his role as Van Helsing, this time stalking Dracula in China. While the Oriental setting had potential, no real effort was made to explore Eastern folklore. Must be seen to be believed. Count Dracula, El Conde Dracula (1972), d. Jess Franco. Count Dracula starred Christopher Lee as Dracula once more. An attempt to faithfully reproduce the character and plot of Stoker's Dracula, rather than relying on the Hamilton Deane play, this film starts out strongly but takes liberties with the story as the film continues. Lee portrayed Dracula as in the novel, at first an old man with a great, drooping mustache, who gradually becomes younger as the story progresses. I Am Legend (2007), d. Francis Lawrence. A recent adaptation of Richard Matheson's I Am Legend, with Will Smith as Robert Neville, a military scientist who failed to find a cure for the vampire virus and now lives along in NYC, surrounded by vampires. The Omega Man (1971), d. Boris Sagal. Based upon Richard Matheson's I Am Legend, this film features Charlton Heston as the lone champion of humanity, battling against the victims of a vampiric disease. The High-Tech Vampires of this film are memorable, with their albino paleness and colorless eyes. In Search of Dracula (1976), d. Calvin Floyd, Tony Forsberg. This documentary about Vlad Tepes, the historical Dracula, was based on the book of the same title by Radu Florescu and Raymond T. McNally. This allowed Christopher Lee to portray the Impaler, as he had his literary namesake so many times before. Dracula (1979), d. John Badham. This was a retelling of the Hamilton Deane drama, with Frank Langella as a younger and more seductive Count. This interpretation emphasizes the moral ambiguity of Dracula, making the Count a tragic if not sympathetic figure who is driven by love. Nosferatu, Phantom der Nacht (1979), d. Werner Herzog. Count Orlock returns in this remake of the 1922 version, this time played by Klaus Kinski (who had previously portrayed Renfield in Count Dracula). As with the original, the title character is a sub-human predator and plague-carrier. The Hunger (1983), d. Tony Scott. Catherine Deneuve, David Bowie, Susan Sarandon. Moody and atmospheric film about an ancient vampire and her parasitic relationship with her less enduring mortal lovers, it contains some interesting material on modern medicine confronted by vampirism. The Keep (1983), d. Michael Mann. Adaptation of F. Paul Wilson's novel of the same name. Set in decaying castle during the Nazi occupation of an Eastern European village. Evil is freed by the unwitting Germans in the form of the vampiric monster Molasar. The vampire is defeated by an immortal champion who has opposed him through the centuries. Fright Night (1985), d. Tom Holland. This horror-comedy fusion is reasonably successful on both counts. Chris Sarandon portrays the suave but menacing Jerry Dandridge, a vampire who has moved to the suburbs where he begins a murder-spree, unbeknownst to anyone but his next-door neighbor, a teenaged horror fan named Charlie. Roddy McDowell plays an actor turned vampire-hunter. All classic elements of the vampire tale are here, with the vampire's sinister henchman, a menaced virgin, a mismatched band of vampire-hunters, etc. Amusing to horror fans for the character of Evil Ed alone. Decently remade in 2011. Fright Night II (1989), d. Tommy Lee Wallace. A lackluster effort to capitalize on the first film, more camp than horror, but has some interesting special effects. Completely unrelated to 2013's Fright Night 2: New Blood, which is more akin to a second remake of the 1985 original. Lifeforce (1985), d. Tobe Hooper. Based on Colin Wilson's Space Vampires, this sci-fi/horror crossover is an excellent example of the alien vampire and how the elements of the vampire may be molded to scientific rationale. Vampire Hunter D (1985), Tayoo Ashida. Japanese animated film featuring Eastern interpretation of Western vampire legend. Count Dracula is the villain of this story, and he is stalked by the title character, a warrior with supernatural powers. He is later revealed to be the son of Dracula, maintaining the traditional concept of the Dhampir, or Half-Vampire, as having special powers to combat the undead. The Lost Boys (1987), d. Joel Schumacher. Another blending of horror and teen humor, this film's vampires are superhuman juvenile delinquents, seducing other young people into their wild nocturnal existence. More memorable for its humor than horror, particularly Edgar and Allen, the vampire-hunters. Skip the twenty-years-later sequels. Near Dark (1987), d. Katheryn Bigelow. Stylish and evocative film about a young man who encounters a nomadic band of vampires. 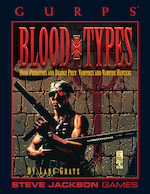 Excellent reference for some of the practical challenges facing vampires in the modern world. Superior script and performances. Bram Stoker's Dracula (1992), d. Francis Ford Coppola. Gary Oldman. Attempt at a faithful adaptation. Ambitious, and closest to date. The character of the historical Vlad is assimilated into the legend well, as the origin of Dracula's curse is explained. Thinking him lost in battle, his true love takes her own life, and thus by Church decree is damned. Dracula curses God and is punished with his condition. Visually rich, superior performance of Dracula at all ages by Gary Oldman, but with an effort to interject a new moral at the end . . .
Interview with the Vampire (1994), d. Neil Jordan. First adaptation of Anne Rice's fiction to the screen. Relatively faithful, maintaining Rice's romantic atmosphere and featuring a surprisingly good performance by Tom Cruise as the vampire Lestat. Queen of the Damned (2004), d. Michael Rymer. Based on the Anne Rice novel of the same name.